On the occasion of the 60th anniversary, the Louis Poulsen PH5 pendant light presents itself in fresh, new colour combinations. The pendant light that has reached cult status is now available in hues of blue, orange, red or grey. 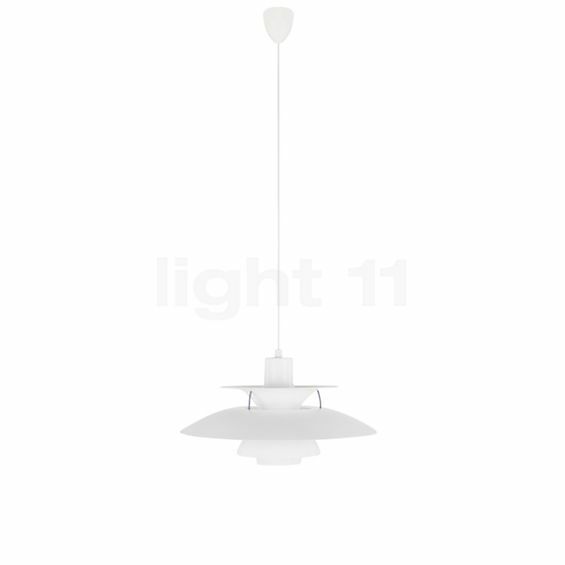 Furthermore, you can order the evergreen designed by Poul Henningsen in "classic white" and "modern white". Ever since the PH 5 was first released after decades of meticulous research in the field of lighting, the pendant light has caused storms of enthusiasm. In order to achieve perfect glare-control, Henningsen arranged multiple shades of different sizes around the illuminant based on the principle of a logarithmic spiral. In this way, it is impossible to get dazzled by the light of the PH5. 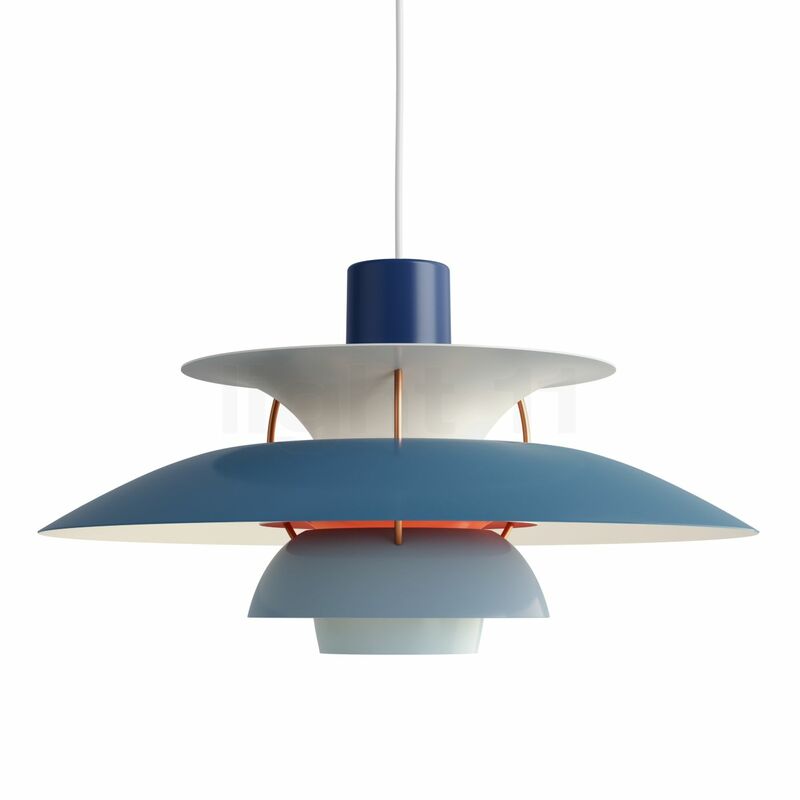 Poul Henningsen designed the PH 5 Pendant Light for the manufacturer Louis Poulsen. Thanks to its sophisticated design, the Louis Poulsen PH 5 pendant light emits harmonious zone light directly downwards. 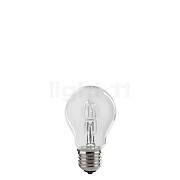 At the same time, a small portion of light escapes to the sides, which contributes to the base lighting of the room. 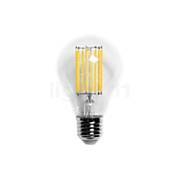 What is more, already in 1958, Poul Henningsen designed the PH5 to be compatible with a range of different illuminants. 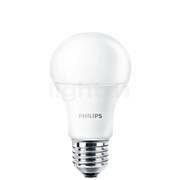 Meanwhile, the pendant light comes with an E27 socket, which can be equipped with a variety of lamps of your choice. 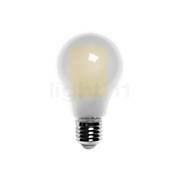 You may for instance use a halogen lamp for warm-white light with a brilliant colour rendering. 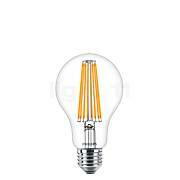 If you attach importance to energy-efficiency, you should consider equipping your PH5 with an LED retrofit lamp or an LED filament lamp. Tell other customers and us about your experiences with the PH 5 Pendant Light ! The Louis Poulsen PH 5 is a perfect dinner table light. As such, it "serves" glare-free, pleasant zone light which effectively accentuates the food, drinks and decoration on a table. 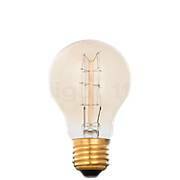 As it also emits diffuse ambient light, the entire kitchen or dining room benefits from a harmonious base lighting. However, this piece of design history not only cuts a fine figure above a dining table: the PH5 pendant light also really comes into its own above counters or a coffee table in the living room.